Indulge yourself in a spa getaway that soothes your body and mind. 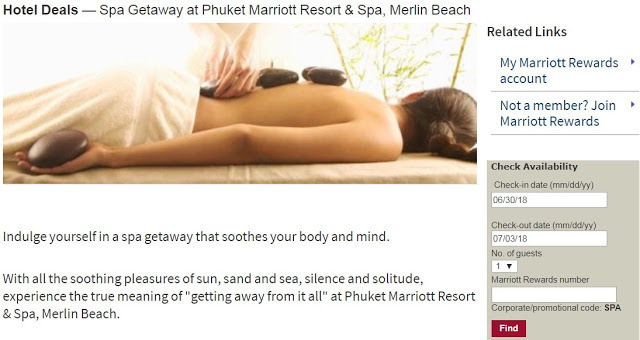 With all the soothing pleasures of sun, sand and sea, silence and solitude, experience the true meaning of “getting away from it all” at Phuket Marriott Resort & Spa, Merlin Beach. Valid seven days a week through 12/19/18. A minimum stay of 3 nights is required.